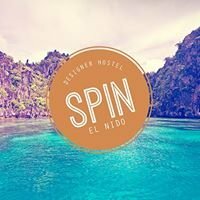 The only floating hotel in El Nido. Package includes island tour, accommodation, meals, snorkeling equipment, ... and more ! At night, sit back and admire the magical sunset while sipping a cocktail. Then enjoy the fresh food buffet prepared by our Chef and his team. You will be accommodated at the Island Cruiser 2, which is a local Bangka boat customized to accommodate a maximum of 12 guests in simple but very comfy and clean conditions. We charter a transfer boat leaving El Nido everyday at 11am. It will take you directly to the Island Cruiser 2. You will then be welcomed by our highly professional crew who is dedicated to make you enjoy every single second spent with us.